How do I order Baguette Magic and receive a $5 Amazon Gift Card? Login with an email address -or- Facebook, find Baguette Magic and press Message Now. Offer is valid one time only per customer. Limited time. A complete order must be placed on the Wystle App then paid for and picked up from Baguette Magic. Wystle will send you a link via the Wystle app in your message with Baguette Magic. 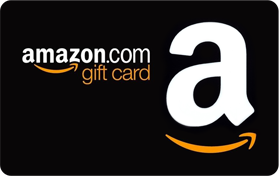 Simply click the Amazon link to apply the gift card to your Amazon account. Then, when you next check out at Amazon, you'll be able to apply the $5 towards your purchase. Easy peasy.